How did you find Goseiger? I think people beat on Wizard just because it's the weakest Rider series in recent memory. 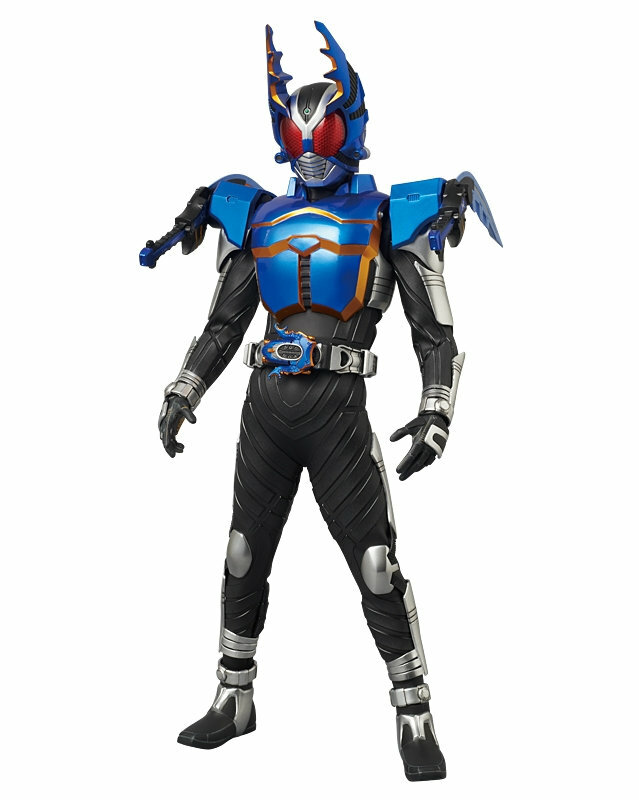 I've definitely seen worse Rider series. Personally, I'd call OOO and Fourze the weakest Rider shows (Since Decade. I haven't watched anything pre-Decade). But I won't go into a full blown debate here, as you're right that belongs in the Wizard thread. I was just commenting on Wizard (The best Rider show I've watched) once again getting hate. I'll reply to the poster above you in the Wizard thread. Quote: "...Yet by the blade of Knights, mankind was given hope." Goseiger is not perfect, but I think it tends to be under-rated. Looking back on it, the thing that stands out as a negative is the overal plot. The idea they had for the main villan is not a bad concept, but the first and last villan group plot arcs are too short. The first ended too early, at the point where one (or at least I) was getting used to/interested in the Warstars. At the time my reaction was - "it can't be over yet!" along with confusion. And the last set of villians was around for such a short time, they seem to have been put there simply to make the point of the main villian showing up again. The set that was around for the majority of the show was nothing exceptional. And I was dissapointed with the super forms and weapons. The super forms do not look good and seem to have been just an imitation of past ideas, done just to do a super form. Now Yudai Chiba, Goseiger's red, I was happy with. The opening of the show focuses on him helping the boy and acting like a guardian angel. Kudos. Yudai is not a stereotypical red in many ways, but I don't see the loss of a "screaming red" as a negative. The character seems to have been intended as the opposite of a screaming red, thoughtly, kind and even sensitive - and Yudai Chiba brings plenty of energy to his role when needed. I think Yudai did quite well with his role, and the rest of the main cast, along with Gosei knight, at worst, did decently. I liked the character focus episodes and though the relationship develoment with Gosei knight was good. So if i was to sum it up, I would say the characters/actors made the show for me, and the plot and super forms/weapons were the bigest disapointments. Oh, and they went overboard on the cards. I know the show exists to sell toys, but the cards were not imagintive and seemed more like a sales pitch the switches or keys or medals. A painful experience. Couldn't stand more than 10 episodes of this series, and that rarely happens to me. I did not like very much of the show, these are some of the worst actors in Sentai history. The characters were so bland, and the actors were barely capable of showing any proper emotion. There were just too many scenes were the camera switched to zoned out actors, who after several seconds turned alive. I wasn't a fan of the headders at all, especially since they had no backstory. Though i must say i was intrigued by the final mecha, with the Goseihead, i forgot what it was called. It gets 1 from me, for some nice action, and the kickass scene when they summon a new path back to heaven.